BiciSport was established in 1995 with the club name & logo taken from the Italian "BiciSport" magazine. The original primary sponsors were Banholm Bakehouse (at St Ives), Kopy King & Turramurra Cyclery. The 1995 team photo was taken at St Ives. BiciSport - Kool Mints at the Bay Criteriums in Melbourne. BiciSport was one of the first womens teams to attract corporate sponsorship to the Bay Criterium Series. BiciSport was established in 1995 and soon developed strong membership growth and was one of the first clubs to focus on Womens teams racing in 1997 sponsored by Kool Mints and then Band Aids. This soon developed into taking a talented Mens team to the Tour of China (five times) and further development of a comprehensive Masters program (both men/women and track/road). BiciSport is highly regarded for its Teams programs. BiciSport contested the Tour of the South China Seas (based in Hong Kong & Macau) on five separate occasions from 2000-2003 and again in 2006. BiciSport finished 4th on the Teams Classification three times and won the Teams Classification in 2003. Phil Thaux finished 2nd on individual GC in 2002 and Cameron Hughes 5th on GC in 2003. Darren Benson won a stage in 2000 and Phil Thaux won a stage in 2002. Cameron finished 5th in the Hong Kong Classic in January 2004. BiciSport members to China included Ian Garrity, Phil Dixon, Paul McDonald, Cameron Hughes, Andrew Curro, Chris Turner, David Hiley, Justin Quinton, Ed Dockrill, Tim Collins, Andy Hitchen, Stephen Dixon, Mike O'Reilly, Stuart Millar, Viv Brimelow & Sharon Luxford. Alex Sommer represented Australia at the World Junior Track Championships in Melbourne in 2002 while Cameron Hughes raced for the US professional Subway Express Team during 2004-05. Pat Bolan represented Australia at the New Caledonian Track Series in 2006. Ben Litchfield, Alex Sommer and Cameron Hughes have all medalled at National Championships. Ben & Cameron competed in the Commonwealth Bank Cycle Classic.. David Browne won the Sydney Cup on Wheels in 2001 and Alex Sommer won the Clarence Street Cup in 2002. BiciSport placed highly in RAW Track - 2003 (1st), 2004 (2nd), 2006 (1st), 2007 (3rd). Pat Bolan won Division 1 Pointscore in 2005. Pat Bolan represented NSW at the National Elite Track Championships in 2006 after winning the NSW Kieren & Time Trial Championships. David Brown, Odhran Murphy & Mike Mellish took Silver in the NSW Track Championships 2006. 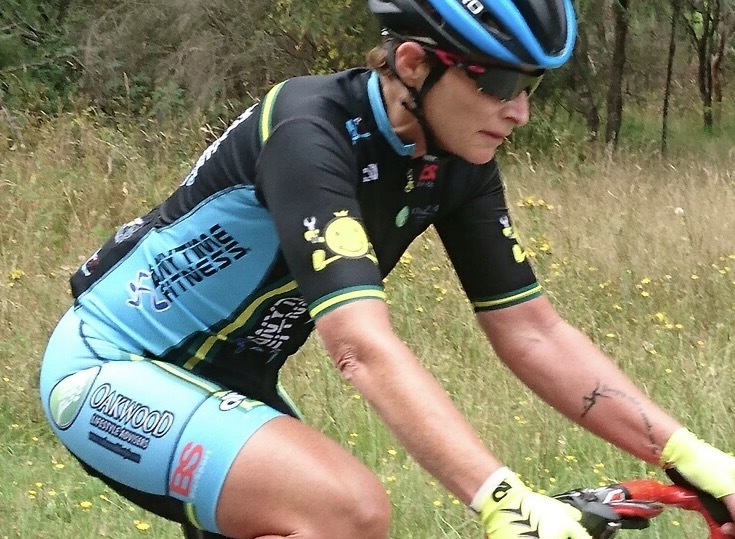 BiciSport was originally formed on the basis of an outstanding Womens Team sponsored by Kool Mints and Band Aid which included Nadia Frischnecht, Cassie Lowe, Simone Jacobs & Lucy Vignes. Emma James & Kristy Scrymgeour rode professionally in Europe. Emma finished 3rd at the National Road Championships in Ballarat (2002), rode the World Championships in Belgium (Zolder) and won a stage of the Snowy Tour. Emma & Kristy have both competed in several World Cup events as well as the Womens Tour de France & Giro d'Italia. Kristy rode for the US Saturn professional team and managed the Lulumon Professional Womens Team. On the velodrome, Liz Georgouras represented NSW at National Track Championships from 2003-2009, and again at Oceania Championships from 2005 to 2007. Keely McNamara represented at Oceania Championships in 2004. Trudy Van Der Straaten won the 2010 NSW Elite Criterium Championships (as a Master). Alexandra Green represented Australia at the 2011 Para World Track Championships in Italy and again in 2012 in Los Angeles (took Gold in the Pursuit). Other contributions from Sarah White, Rhonda Craigie & Katrina Lane. Michelle Crawford, Lise Benjamin, Sue Tierney, Trudy Van Der Straaten, Ruth Strapp, Kirsty Flanagan, Kirstie Dolton, Louise Brown & Donna Meehan have made significant contributions towards the development of BiciSport Masters Women. David Browne has won a National Masters Criterium Championships, the Sydney Cup and the Scody Cup at the Dunc Gray Velodrome. BiciSport has promoted three major NSW track opens. At the Tempe Velodrome in 2003 & 2007, and at the DGV in 2008. A special thank you to both James Schneider & Stuart Millar. BiciSport has been an active participant at World Masters Track Championships since Sydney (2007 to 2009), Portugal (2010), Manchester (2011 to 2015) and Los Angeles (2016 & 2017). Graham Jones was a long time member of firstly Manly CC then BiciSport. Graham was a keen race organiser and contributor to all things cycling including the development of the Terrey Hills cyclo cross circuit. Graham was killed in a early morning training ride near Chatswood on 10 November 2002. In memory of Graham's strong community focus there is a walking bridge named in his honour around the Narrabeen Lakes Walk. BiciSport has evolved through four revisions of team sponsors and related clothing. The first edition in 1995 was sponsored by Banholm Bakehouse-Kopy King Instant Printers (based on a blue & white design). The second edition was sponsored by Supreme Cycles Narrabeen-Hamill Press (based on red, white & blue). The third revision was Eftex (a pale blue with red side panels). The current range of team sponsors features the Anytime Fitness-Oakwood Lifestyle Advisers logos together with related secondary sponsors (based on a blue on black design). Kristy Scrymgeour (far right) was an early contributor to the BiciSport Womens team and progressed to a highly successful professional career as both a rider & team owner.